Random Blood Sugar- A blood sample taken randomly is a good indicator of random sugar levels in your body. A value above 200 mg/dL for this test indicates diabetes and requires medical intervention. 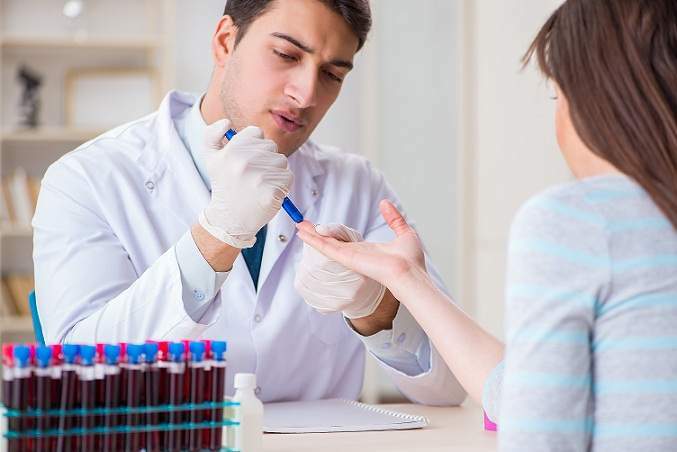 Fasting Blood Sugar- A blood sample is taken after overnight fasting and tested for sugar content. A value less than 100 mg/dL is considered normal; between 100- 125 mg/dL is considered pre-diabetic and above 125 mg/dL is considered diabetic. Glycated Hemoglobin (A1C)- This test is done to know your average sugar levels over the past few months. This test measures the percentage of sugar that is attached to haemoglobin. A value of up to 5.7 in this test indicates normal sugar levels, between 5.7 and 6.4 indicates pre-diabetes and a value higher than 6.7 indicates diabetes.